CEFISA, as integrator (V.A.R.) 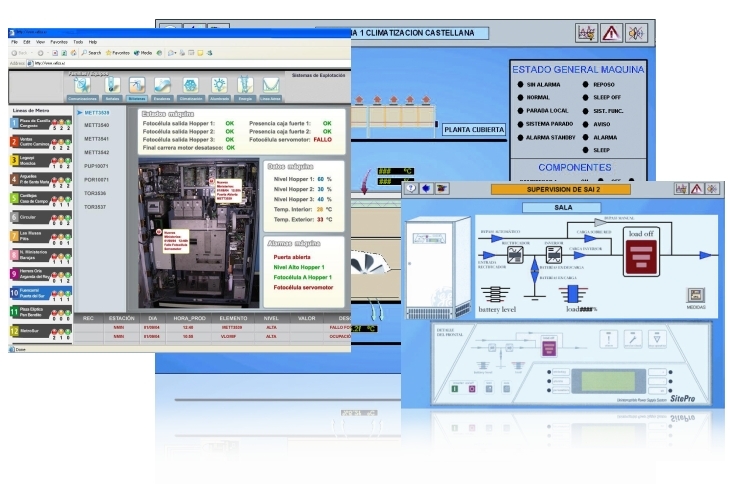 of Intellution since 1994 and subsequently as the Premier Solution Provider to GEFanuc since 2006, has the benefit of extensive experience in development of tailored database components for Proficy SCADA systems. Should you have a need to design or create a model suitable to specific requirements and integrate this into your control system, and wish that this be achieved in a simple, reliable and repeatable manner, please consult this with us. CEFISA is able to develop the database component to suit your requirements. In Cefisa, we try to search simple solutions for a complex world. Contact with us if you are looking for solutions in process automation, multi-system integration and supervision, as well as development in electric engineering, among other services.